To address urgent challenges and drive continuous improvement effectively, school board members, superintendents, and school leaders must develop strong school board–superintendent teams. The authors offer a systematic approach for establishing a unified team that can efficiently meet demands, avoid conflict, and respond to the ever-changing educational environment. Each chapter includes professional development activities that can be adapted for teams of any size. 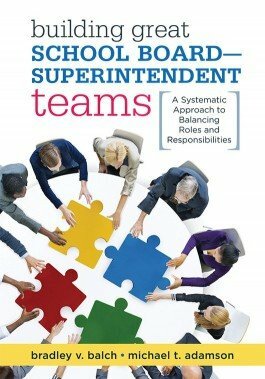 Consider how the school board–superintendent team can remain sustainable and productive in governance and leadership. Foster committed team relationships and develop the important qualities of team leadership. Clarify the roles and responsibilities of school board–superintendent team members to improve governance and avoid conflict. Learn how to communicate effectively and speak with one unified voice as a team.